As we’ve witnessed at the 2014 Olympics in Sochi, Russia, it is possible to be a winner without even winning a medal! There are so many inspiring stories about athletes from all over the globe who passionately sacrifice years and time and money for the chance to compete in the Olympics. With little chance to win any medal, these athletes still train hard and compete, giving their personal best. 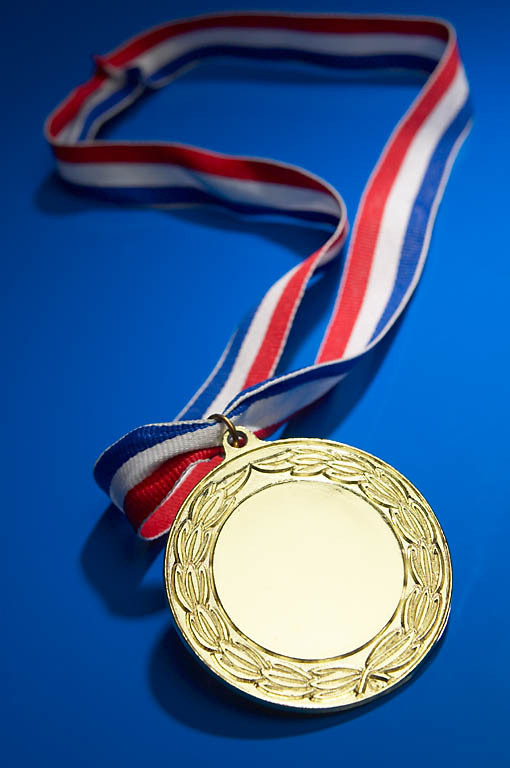 Without winning any medal, there are many winners – in the best sense. Sophos Labs, a developer and vendor of security software and hardware headquartered in Boston and Oxford, UK, recently released its “Dirty Dozen” list – the top 12 spam producing countries for 2013. And how did the US win the “gold” as the country that generates the most spam? Mostly by not trying – by not doing all the right things. With only 25% of the global daily credit card transactions, the US accounts for a whopping half of the total daily global fraud activity! That’s a blush causing percentage for a country that is supposed to be the world’s technology leader and a trusted haven in cyber darkness. How did the US win this inglorious “competition”? Well, it appears one more time that the US achieved this unsavory “win” by using a strategy of not doing the right things. If the common thread of these tarnished wins is not doing the right things, then it seems reasonable that doing the right things is key to relinquishing these dubious titles. So, what are the right things? In the case of spam, it is important to understand that spam is sent out by computers, not by countries. The computers that send spam are unprotected, infected computers that have silently become part of botnets – zombie armies controlled by botnet managers to accomplish cyber-crime. As the top spamming country, the US essentially has the most infected computers! This is not a cause for pride! There is no excuse for this situation since there are so many effective, free anti-virus and malware programs available for home users. Corporate computers are not exempt from blame either; if there is not a corporate IT attitude of making computers on networks bulletproof with the best ongoing security practices, then those computers can be dangerous as well. The right thing in the case of spam is to be sure your computer is protected with current, daily updated and effective anti-virus and malware protection. Run a boot-time scan if your anti-virus program can do so; or at least run a regular full scan. Get a good malware protection program and regularly run a full scan with that. Get informed. Ask questions from qualified professionals who are informed about today’s security practices. The right thing to do to help your country lose the gold as top spamming country is to protect your computer and keep it secure. The right thing is to help stop cyber-crime by not contributing to it with an infected, zombie computer. Currently the US uses “sign and swipe” technology for credit/debit cards. This is an “old” technology developed in the 1960s by IBM as a security pass card. Ironically, today this technology lacks security. We continue to use the “sign and swipe” cards only because they are convenient to use and cheap to produce. What we continue to ignore is that this 50 year old technology is very easy to counterfeit and breach. It is this choice of profit over security that keeps the US in the top fraud producing spot. What would be the right thing to do at this point? The easy answer is to get a more secure technology. France has been using one since 1992, believe it or not – the EMV “chip and pin” type card. Gismodo.com describes the card: It’s a credit card that ”utilizes multiple layers of security – including a computer chip in each card that stores and transmits encrypted data, as well as a unique identifier that can change with each transaction. Cardholders also enter a PIN to authorize transactions. Total fraud losses dropped by 50 percent and card counterfeiting fell by 78 percent in the first year after EMV smart cards” were introduced there. That sounds like it was the right thing to do. In fact, 22 years later, the US is now considering this European technology. Visa and MasterCard have set rollout dates for this type card by October, 2015. However, costs and lack of clarity about who assumes liability when a breach occurs seems to underlie reluctance to adopt better technologies — the same old same old that keeps the US as the gold standard for fraud. Oh, did you catch the wording, “when” not “if” a breach occurs? We have to do better!! And, we can do better! We can all make choices to be informed and to do the right things… If we do, we can all be winners — in the best sense. itcat101	Chew On This, Security	Comments Off on Are You Now A Crime Target? This post is dedicated to alerting or even alarming all reader friends about the absolute need for CAUTION when using credit and debit cards – anywhere. If I could, I would shout from the top of the Internet Cloud — BE CAREFUL! BE CAUTIOUS! Your cards are not as safe as you think they are! Well, that sounds a bit over-reactive, you might say. What’s bugging you, you ask? Still fretting over that Target thing way back on Black Friday, you sigh? Guilty on all counts, I respond! If anything, I am not being reactive enough! Is something bugging me? – You bet it is! Actually I’m very bugged about what may be bugging, or hacking all of us, even as you read this! Fretting still over that Black Friday thing? Fretting doesn’t come close to what I feel as I continue to read about what really happened in the data breaches at Target, et al retailers…. What I want to share here are some under-reported details about the data breaches so that you can better understand your current and future threats. Then, in a coming post, I’ll try to help you learn about the new credit and debit card technologies and strategize about the realities concerning use of credit and debit cards. Please realize that Target thing was bigger than first reported! At Target alone, “instead of affecting approximately 40 million of their guests, Target now fears that the security breach could ultimately affect approximately 110 million people…. It turns out that the thieves didn’t just obtain your credit card numbers; they also have your names, phone numbers, mailing addresses, and e-mail addresses.”1 The credit and debit card data supposedly were dropped to servers in several places including Russia and Brazil. 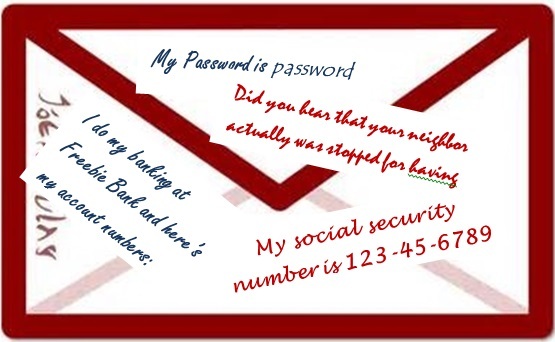 Knowing that some crooks in Russia have my credit card information AND know where I live is very disturbing! After the Target breach was made public, Neiman Marcus and two other yet to be named retailers reported their own breaches as well. The Neiman Marcus breach affected possibly a million customers. Although not confirmed, one of the other retailers could be Michaels.3 Michaels reported credit card breaches in 2010 as well. 4 Have you made any credit/debit card purchases at Neiman Marcus or Michaels since last fall? You might have noticed that details about the retailer breaches are slow to come forth. That’s predictable. Retailer’s sales are impacted by consumer’s trust in their brand. Negative news especially about inadequate security measures and technologies to protect the customer’s confidential data is a trust buster! Consider that it took Target 4 weeks to notify its customer about the data breach! And when Target did make a statement, its spin was on being a “victim” in the breach. Well, that may be one way to look at it. But there is also a lot of high tech scrutiny about Target’s compliance (or non-compliance) to credit card standards as well as whether Target used “best practice” security technologies concerning its POS (point of sale) system and its network infrastructure. Lawsuits about these issues are already in the works. For damage control, Neiman Marcus had to come forward about their data breach after Target’s breach announcement. Customer protection does not seem to be the motivator for the retailer confessions. OK. Does any of this information cause a feeling of alarm in you? I hope so! And if so, I hope you understand the need for CAUTION! So what do I do now, you ask? For starters, stay informed. What you don’t know can hurt you! • Don’t let that thing at Target move off your radar screen. Keep watching how it plays out. Out of sight – out of mind is a dangerous attitude when it comes to self-protection. • Be sure your information comes from current, accurate, informed and well documented sources. I’ll post soon more information about credit and debit cards – the “new” technology changes; what you need to understand about them to make informed choices; and strategies to be proactive in guarding yourself against credit and debit card fraud. Be Cautious. Be Aware. Be Informed. itcat101	Chew On This, Security	Comments Off on Clear Text – Why You Should Be Clear About It! Don’t send personal information through e-mail because it is clear text! You’ve probably heard and read that admonition so many times that you’ve tuned it out as just more geek speak – stuff only techie-types read and heed. Geek speak is not your language; and after all, you’ve been using e-mail for eons now without any real problems due to clear text… So what’s the problem? Browsing Bowser now is thinking out loud: Clear text? That doesn’t sound like geeky language. It sounds like normal English to me. So why is there a warning about when it doesn’t seem dangerous? Hmmm. OK. I have to admit, I’ve pretty much ignored the warning myself without giving it much thought. So I’ll bite – why is there a warning about clear text and why should I be paying more attention to it? Glad you asked, Browsing Bowser! Because – simple as these two words sound, clear text is all about your security, protecting your personal information and cyber crime. Let’s start with definitions and then try to explain why this warning is so vital to your security. Text in the context of email commonly means written or printed words. Clear in this sense means visible as written. Therefore, clear text is text that is visible as written. Browsing Bowser here – So far, that doesn’t sound very profound… What’s the big deal? Be patient, BB. The “big deal” is the security issue surrounding clear text. In security terms, clear text is unencrypted text – text that has not been altered in a way to make it unreadable without a decryption tool. Browsing Bowser here again. Decryption? Unreadable? I thought email was supposed to be easy to read? Yes, it is, BB, but only after it arrives in the recipient’s inbox. Email in clear text can be a problem on the way to the recipient’s mailbox. Because of the complex way that the email travels to its destination, it can be “sniffed” or discovered by someone with malicious intent. If that happens, and the email is clear text, all its content can be read and used by the interceptor. Sniffed? As a dog, I understand sniffing, says Browsing Bowser. But what does that mean in cyber terms? Similar concept, BB. Sniffers – more correctly packet sniffers, are utilities used to discover and capture data over networks. Network administrators use them to monitor and diagnose network issues. That’s a beneficial use of packet sniffers. Packet sniffers can also be used maliciously to capture data, like email, across the internet (giant network), as I just mentioned. And “sniffer” utilities are easily available – to both network pros and cyber bad guys. Starting to see a connection here to clear text and possible violations to your security? Not yet? You know what they are – those irritating calls from telemarketers that come just as you are sitting down to dinner or the ones that pollute and commandeer telephone lines for months before elections. Not all robocalls are bad. We appreciate (usually) reminders from our doctor or dentist about upcoming appointments; or calls from our city about garbage collection and recycle weeks; or about school closings; or even emergency or weather alerts. 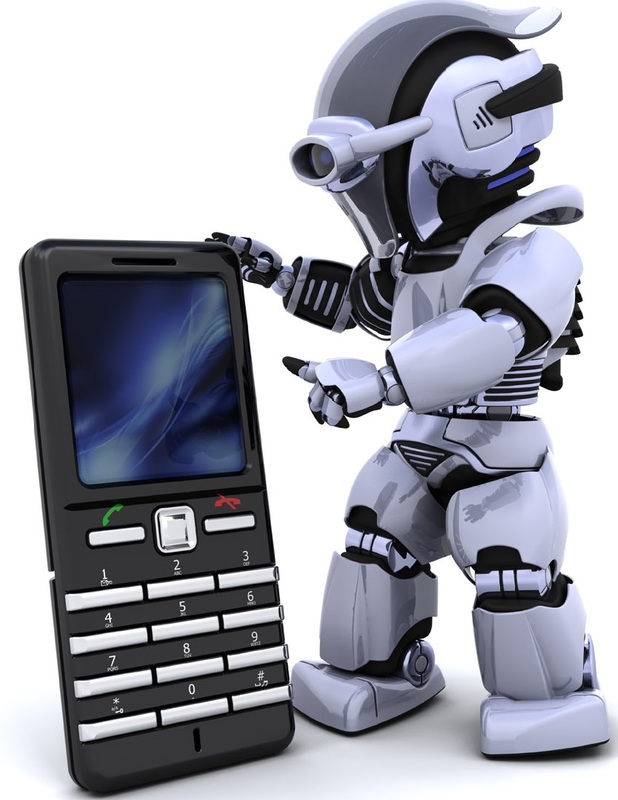 However, robocalls, besides being pesky, can be downright fraudulent. Fraudster calls impersonate legitimate organizations to get money, donations, even personal information to commit identity theft. Fraudulent calling is an estimated $10 billion industry. The Federal Trade Commission was so concerned about the rise in robocalls that it challenged techie “innovators” to create solutions that block illegal robocalls. The prize for such a solution would be $50,000! There were actually two winning solutions for the FTC Challenge. The winners were announced this past April (2013). And each winner received $25,000. The winning innovators are Serdar Danis and Aaron Foss. • “Danis’s proposal, titled Robocall Filtering System and Device with Autonomous Blacklisting, Whitelisting, GrayListing and Caller ID Spoof Detection, would analyze and block robocalls using software that could be implemented as a mobile app, an electronic device in a user’s home, or a feature of a provider’s telephone service. NoMoRoboCalls is now available as of September 2013. Their website is http://www.nomorobo.com/. • Informational Calls only (e.g. cancelled flight information; appointment reminders). These type calls cannot promote the sale of goods or services. 1. Register your phone number on the Do Not Call List — http://www.donotcall.gov or 1-888-382-1222. 2. HANGUP as soon as you realize you have a robot on the other end of the line. DO NOT press 1 or any other number that will supposedly remove your number from their “list”. This activity only confirms you are a real live prospect. 2. Never Ever give PERSONAL INFORMATION to anyone, even if you suspect it is from a known and trusted source. If you suspect the call is legitimate, get the correct phone number from the source’s website and call them back. 3. Ask your phone provider to BLOCK the phone number. This solution might work if the provider is willing to do it. They might charge a fee. • Spoofing of phone IDs makes it difficult to get the real phone number of the caller – the call looks like it is coming from a local caller but it is not the caller’s real number. 4. Search online for other solutions. There are fee based solutions available. Reporting these calls DOES have an impact. The FCC is cracking down on violators, especially marketers who violate the law by calling cell phone numbers. Violators of the cell phone laws are liable to penalties of $16,000 per illegal call! And penalties are being assigned…. YES! If I were The Top Dog, I’d make sure these rules were enforced; penalties would be assigned and collected; and the money collected would help pay down the national debt. What a thought – Robocall crooks helping to balance the budget…. If you are a Windows XP user who intends to ignore the “sunset” date for the Microsoft XP Operating System – the date when Microsoft will no longer provide any support, patches or fixes whatsoever for that product – this “Bad” is for you! Microsoft has announced that the “sunset date” for Windows XP is April, 2014. 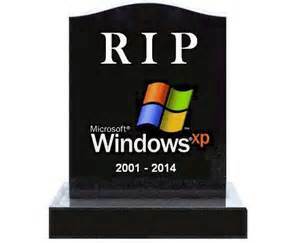 After that date, there will be no more support for XP. None! Nada! Zero! Nix! Nothing! 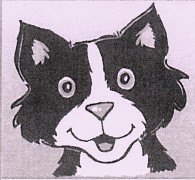 However, if you naively ignore this well announced warning; if you choose to avoid preparing for this date; if you plan to continue to use your XP device on the internet after the “sunset date” – your computer will, in essence, broadcast itself into the dog eat dog cyber world as cyber milk bone pants. And all the hungry, mean spirited cyber dogs on the hunt for outdated XP systems will be waiting to get a taste! At the time of this posting, it is November, 2013. April, 2014, is less than 5 months away. Between now and XP’s “sunset date”, however, are post-Thanksgiving Black Friday sales and Christmas! That means there is ample time for you to prepare for, plan and implement the secure retirement of all XP systems and to take advantage of all upcoming, incredible electronics deals that over-eager retailers will offer this year! Here’s the irony – the cyber criminals are the ones who are prepared for this date. “One of the mysteries of the con-man is why he bothers (I say he, but of course there are plenty of con-women who are just as unscrupulous). He is often energetic, imaginative and ambitious, so why doesn’t he build up a decent, respectable business instead of robbing hard-working people? I suppose it’s because con-men (and I’ve met many over my years in consumer protection) all regard the people they deceive simply as walking wallets, to be ruthlessly squeezed, emptied, and then thrown away. 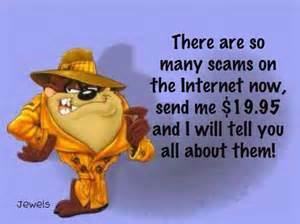 Internet scams are updated, worldwide versions of age-old tactics and schemes to cheat and defraud a victim. What the internet has added to con-artistry is an extreme ease of distributing fraudulent schemes to millions of people! 1. Bogus Health Products – This scam is the modern version of snake oils and elixirs that claim cures for everything that ails you. 2. Advance Fee Loans – These are bogus offers with fraudulent websites that promise to provide easy credit and/or loans. Required upfront payments are a sign the site/offer is a scam. 3. The Nigerian Scam – This is an old scam with several variations that amazingly doesn’t die. It appeals to the sympathy and generosity of the victim. An email or hard copy letter or even fax arrives asking for help to get money out of war ravaged countries to help the poor subject named in the request. The FBI reports the author requests upfront money to help complete the emotional request but the willing victim will always be out money. • They cancel a planned visit to you because of some unexpected but traumatic event and request money to help cover some of those traumatic event issues. • Send NO Money. Report them immediately to the dating site and FBI. Unfortunately, this is not a comprehensive list of scams and schemes. It is only a compilation of 2012’s TOP 10! May none of these be your experience!